The BBC is selling off capacity previously used by BBC Three HD on Freeview in a competitive bidding process. Only the former BBC Three HD Freeview capacity is for sale. Whereas the BBC is free to sell capacity on its HD multiplex to other broadcasters, capacity on its standard definition Freeview multiplex cannot be sold. ITV HD, Channel 4 HD, Channel 5 HD and Film4+1 all use capacity on the BBC's HD multiplex for distribution to Freeview HD households. According to the advertisement, the capacity will be available from March 2017 and is suitable for one HD channel from 9pm through to 7am. It's a year since the BBC Trust first revealed the broadcaster was reviewing its options regarding the ongoing use of the slot. The slot purely involves the former BBC Three HD bandwidth and not the channel number - BBC Three HD's former Freeview channel number is now used by Channel 5 HD. 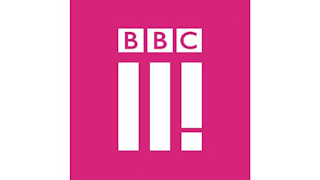 Following the closure of BBC Three's TV service, most of the bandwidth previously used by the channel during the evening and overnight period has been empty. From mid-February to the end of March 2017, the space was used for a barker channel advertising BBC Three's move online, plus a 'secret' schedule of two to three hours of old BBC Three programmes from 1am, in move designed to keep BBC Three's Sky EPG slot until the end of the barker channel. Since the end of March, the capacity has been mostly unused. BBC Three timeshared a slot with CBBC, with the switch happening just before 7pm. In April 2016, CBBC extended its hours from 7pm to 9pm, taking two hours from BBC Three's old slot, leaving capacity empty from 9pm. During the Rio Olympics, the HD capacity was briefly used for extra Olympic coverage before becoming dormant again. Any broadcaster taking up the HD slot will be able to reach up to 98.5% of UK households, with the service carried on all Freeview transmitters, including relay sites which have a reduced Freeview channel line-up, the unofficially named "Freeview Light" service. The BBC's future plans for BBC Three's former SD slot are still unknown. The BBC does not have any control over the ongoing use of capacity used on cable that was previously used for BBC Three and the advertisement of capacity does not include satellite. On the BBC's Freeview HD multiplex, there is also around 2.5Mbps of capacity that is permanently unused. The BBC's plans for this space are also unknown. The BBC had originally planned to broadcast BBC One+1 as an SD service on the HD multiplex before plans for the timeshift channel were rejected by the BBC Trust.